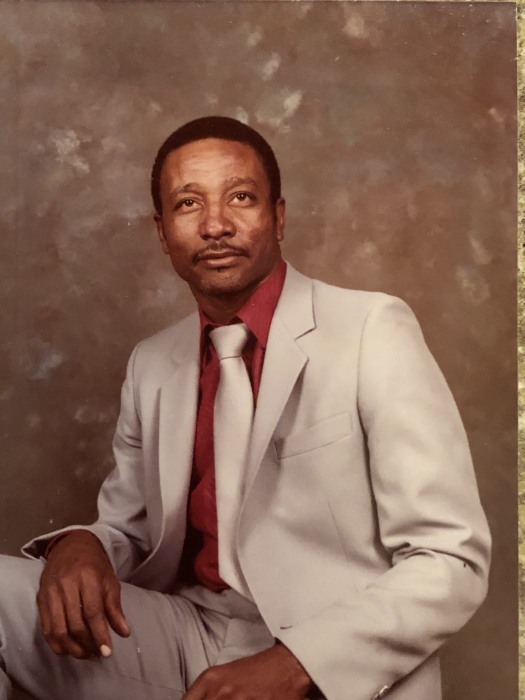 Obituary for George J Carter | Larry Smith-Cooper Funeral Home, Inc.
Deacon George Jeffery Carterwas born on January 21, 1942 in Jackson, Mississippi to the last Rosie Lee Swan-Carter and George L. Carter, Sr. Deacon Carterdeparted this earthly life on April 10, 2019 after an extended illness. While being raised and educated in Jackson, Mississippi, he loved on his family and always had a love for music. He was an awesome and talented quartet singer. He loved to sing and did not mind praising the Lord. After relocating to New York City, he met and married the love of his life, Eleanor. He was employed as a Truck Driver and painting factory worker. Deacon Carterwas saved and filled with the Holy Ghost in 1981 under the leadership of Bishop Lymuns Johnson, where he and his wife worshipped until moving to Mullins, South Carolina in 1990. He was employed at Palmetto Junior High School for 4 years. He also joined and worshipped with The Greater Highway Church of Christ, Inc. under the leadership of the honorable Bishop Levester Williams, Sr. He faithfully served and sang with the male chorus. In 1994-2008 he and his “Shining Star” Eleanor relocated to East Windsor, New Jersey where he was employed in the public schools of New Jersey and worshipped at the Mt. Ararat Missionary Baptist Church, Reverend Charlie Bates, Pastor. In 2008 he relocated back to Mullins, South Carolina and worked for the Marion School District 2 until he retired in June 2014. Among loving God first and foremost, he loved on his nieces and nephews and would always give wisdom with a cheerful spirit. He leaves to cherish his memories: his wife: Pastor Eleanor N. Carter of 54 years; an adopted son: Mr. Earl (Michelle) Page of Plumas Lake, CA; a special son: Mr. Geoffrey (Meredith) Hackett of New York, NY; godchildren: Lorraine Crawford of Mullins, SC, Micheal Smith, Jr. of Florence, SC and Sharon (Roe) Lawrence of Largo, MD; three sisters-in-law: Vivian (Gary) Gray of Mullins, SC, Sharon (Glen) Davis of Mullins, SC, Retha Mae Page of Hightstown, NJ; one brother-in-law: Willie L. (Marilyn) Davis, Jr. of Raleigh, NC; brothers: Bobby J. Carter, Anderson Jake (Cynthia), Roosevelt (Cherie J.) and Larry D. (Glory) Carter all of Jackson, MS, Willie Williams of St. Louis, MO; three sisters: Ivory B. Green of Chicago, IL, M. Jean (W.L.) Phillips of Jackson, MS, Carla Collins of St. Louis, MO; six brothers preceded him in death: Phillip Carter, Frizell Carter, Coleman Carter, Calvin Earl Carter, Robert Carter and George L. Carter, Jr. He also leaves to cherish his memories: four special grandchildren: Chris Dixon, Sadie Page, Onika Eleanor Page, Olivia Page all of Plumas Lake, CA and a host of family, friends and godchildren. He will be greatly missed.